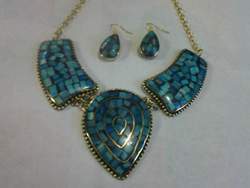 We design and develop a wide range of stylish and attractive resin necklaces that is offered in different designs. The smooth finish and unmatched designs of these resin necklaces make them perfect to be worn with any western or Indian outfit. This is a brass necklace in this necklace 5 brass piece and 1 wooden. 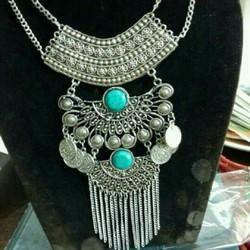 This is pretty necklace.